While the technology is still in the nascent stages, blockchain-based education systems have the potential to revolutionize how school districts manage student data. At the fundamental level, blockchain is a form of distributed ledger technology that allows parties to share information with each other through a controlled system that manages transactions. In the education space, the technology has the potential to revolutionize how school districts share and maintain data, but the technology hasn’t trickled down to the K-12 environment yet. Universities started exploring this space over the last few years in academic credentialing. Transcripts, grades, test scores and digital diplomas could be stored in a student’s digital wallet, where the student has control over how the information could be shared. Blockcerts, developed by MIT’s Integrated Learning Initiative and Learning Machine, is one initiative that is helping universities and students take ownership of their data when it comes to digital diplomas. Southern New Hampshire University and Central New Mexico Community College have also taken steps to offer digital diplomas to their graduates. While some school districts have reached out to Learning Machine to understand how Blockcerts works, there are no current K-12 school systems using the open standard technology in the United States. IBM, which is working similarly at the collegiate level, could not provide any examples of how blockchain is currently being used by school districts. However, this is not keeping technologists and school executives from painting a picture of where blockchain technology could develop in the K-12 space. In a high-level analysis, KnowledgeWorks released a forecast of where the technology could go over the next 10 years. The 2016 report identifies four possible use cases: a unified blockchain platform to make administrative tasks more manageable, a turnkey solution that decentralizes ideas and modules around the technology for ease of use, an open-source network management tool for parents to share learning experiences and a blockchain-based ecosystem management tool to store, analyze and manage learning-related data. Tom Ryan, chief information and strategy officer for Santa Fe Public Schools, has been exploring the benefits of blockchain technology to secure student data and improve the acquisition process. One of the challenges that school district CIOs face is how to protect student data and privacy. School districts face many of the same challenges when it comes to protecting student, teacher and staff personally identifiable information, which can cause major problems when a district or third-party contractor is hacked. Ryan is exploring how blockchain could be used to secure and protect student data as a distributed ledger that provides a trusted environment. Using a permissioned blockchain, data can be stored on the chain that is secure and controlled when it comes to third parties. Another application for blockchain comes from the Board of Cooperative Educational Services used by schools in New York and Regional Education Collaboratives used across the United States. The BOCES and RECs programs allow school districts to leverage their buying power by banding together in order to acquire technology support and other services. Ryan said a blockchain-based system could provide a trusted environment for different school districts to communicate and share services. Another potential application for blockchain comes from the San Jose State University Research Foundation which received a federal $100,000 grant from the Institute of Museum and Library Services in 2017. The foundation hosted a national forum in August 2018 to bring together libraries to discuss how library leaders can develop a distributed metadata system, facilitate better digital rights management and create a protocol for community-based collections. When it comes to the private sector, IBM is working with companies like Walmart and Maersk to improve supply chain activities, but Alex Kaplan, global leader of strategic deals for IBM Watson Education, said the use cases for the K-12 education market are not fully apparent. For students applying to college, it is possible that academic credentials from schools could be automatically sent to participating universities. However, Kaplan said, it is currently unclear how students can provide information to show their “personalized learning pathways,” which include badges, extracurriculars and other forms of learning that occur outside the classroom. 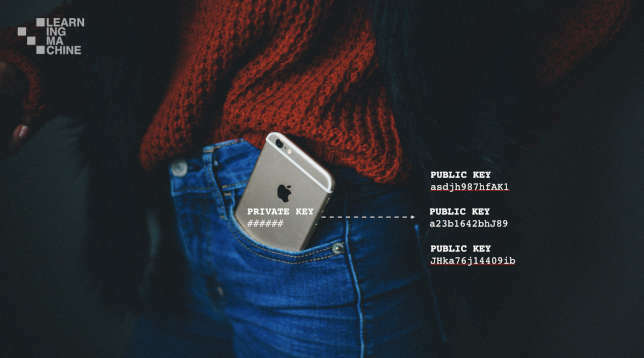 In order to include all of this information in a digital wallet, the quantity and quality of the data needs to be secured in a secured format.